My title today is a play on words. Many of you know the old hymn Blessed Assurance (link here, just in case you don’t), which sings of the assurance that we can have of our salvation. The same people who feel strong assurance about salvation are some who have trouble believing in the full message of grace or a pre-tribulation rapture. The people preaching against “hyper-grace” believe in grace, up to a point. They believe that they are saved by grace, but then they must take over and work hard to live a holy life. And if they’re discipling somebody, they stay vigilant over that person to make sure that they dress right, live right, talk right, etc. They believe that the grace of Jesus Christ got them into Heaven, but they need to work hard to stay there. They teach a God of rules that watches to see if we are going to continue in sin. Read 1 John 1:5-2:17. Anyone who continues in sin proves that they are not really born again (1 John 1:6). But John continues by explaining about what happens when believers sin, which we do. Remember that there is now no condemnation for those who are in Christ Jesus (Romans 8:1). We are in perfect agreement about the fact that there must be repentance. What we disagree about is the power to live out that repentance. They believe that it’s now up to us, and so mix law in with the message of grace. “Oh, you’ve got to watch out for sin,” and they teach daily confession and repentance. The law has never saved one single soul. That’s because the purpose of the law was to demonstrate our need for a Savior. Romans 3:20-24 – Therefore no one will be declared righteous in God’s sight by the works of the law; rather, through the law we become conscious of our sin. But now apart from the law the righteousness of God has been made known, to which the Law and the Prophets testify. This righteousness is given through faith in Jesus Christ to all who believe. There is no difference between Jew and Gentile, for all have sinned and fall short of the glory of God, and all are justified freely by his grace through the redemption that came by Christ Jesus. You foolish Galatians! Who has bewitched you? Before your very eyes Jesus Christ was clearly portrayed as crucified. I would like to learn just one thing from you: Did you receive the Spirit by the works of the law, or by believing what you heard? Are you so foolish? After beginning by means of the Spirit, are you now trying to finish by means of the flesh? Have you experienced so much in vain—if it really was in vain? So again I ask, does God give you his Spirit and work miracles among you by the works of the law, or by your believing what you heard? So also Abraham “believed God, and it was credited to him as righteousness,” (Galatians 3:1-6, emphasis mine). You know what I think? I think that it’s all just too easy for some folks. After all, there are lots of religions out there that require their followers to live by a set of rules: don’t eat this, don’t touch that, etc. Christianity breaks that mold by being simple and easy. It’s simple and easy for 2 very important reasons: 1. God is almighty and He has done it all for us; and 2. Since we didn’t do anything besides believing, we can’t take any of the credit. So what is the power of grace? Love! Just as it was love that kept Jesus on that cross when He could have called down countless angels to save His life, it is love that gives us the power to live a life that pleases God. We love God because He first loved us (I John 4:19). When full grace is preached—that is preaching that gives us an idea of how long and wide and high and deep is the love that Jesus has for us—then we respond with a love that seeks to please the lover of our soul. At that point, sin loses all its appeal. And it’s not because we confess and repent daily. It’s not because we dress right, talk right, act right. It’s because we think with a completely different mindset. Instead of doing this or that based on what we want to do, we do things based on what would most please or honor God. Most days I wake up with a love song to God playing in my head. Nobody told me to do that. I just love Him, so my heart wakes up singing love to Him and my head overhears it. Here’s a link to the one I woke up with today: Amazing Love. God is good—believe it! One really nice thing about not having a television is that I have gotten out of the habit of zoning-out in front of the idiot box at the end of the day. And let’s be honest, there are a lot of things on television that are not faith-building. In fact, there are far more unchristian and even antichristian programs than there are Christian programs. Ask yourself this: if I wouldn’t let my children or grandchildren watch this, then why am I watching it? Instead of television, what I do is spend time with friends, read a book, or watch sermons on You Tube. Instead of only hearing 1 Bible-based message a week, I hear as many as 10. The Bible says: “So then faith comes by hearing, and hearing by the Word of God,” (Romans 10:17, NKJV). So if I have a lot of faith, that is why—I’m hearing the Word of God daily. And do you know what? That gives me more of an appetite for the Word of God, which gives me more faith. It’s a righteous cycle. Hallelujah! This morning I was praying for Europe, my mission field. My fellow missionaries understand the burden I feel for Europe because each of us feels that for our respective mission fields. It’s not a burden in the way that most people think of burdens. Rather, it’s a deep longing and desire to pray and to keep bringing Europe’s people before the throne of God. So as I was praying this morning, the Holy Spirit reminded me of something I heard in a sermon recently. The sermon was about calling on angelic help. “Are not all angels ministering spirits sent to serve those who will inherit salvation?” (Hebrews 1:14, emphasis mine). There are billions of angels. A third of the angels rebelled, including a cherub named Lucifer, and became fallen angels, also called demons. Matthew 18:10 makes it clear that each child has a guardian angel. So if there are over 7 billion people currently alive on planet earth (check out: World Population Clock), then that means that there are billions of angels. In addition to the guardian angel that each of us has, there are messenger angels (like Gabriel), warrior angels (like Michael), and worship angels (like the ones around God’s throne). And the angels have ranks: angels, archangels, princes, thrones, etc. So, given that there are literally billions of angels, outnumbering the demons by 2 to 1, then there are a whole lot of angels ready to help us. But they’re mostly idle because we haven’t asked God to send angels to help us. Note: Never go directly to the angels, themselves. They take their orders from God. If you ask an angel to help you, you will unknowingly be inviting a demon to interfere in your life. Whereas God must be invited to act on your behalf, demons will push their way into the slightest opening that they are given. If you’re curious about the purpose and position of angels, read the first chapter of Hebrews. Often I am saddened by the spiritual state of Europe. Operation World says that Europe is “by far the most secular and least religious continent,” (pg. 79). On top of that, there are not anywhere near enough missionaries to bring the Gospel to every part of Europe. My organization, European Faith Missions, in partnership with GoMissions, is working to remedy that situation by offering an online bulletin board for matching missionaries with serving opportunities in Europe. But Europe has failed to capture the imagination of most Christians. Americans think of Europe as a wealthy place because that’s where rich people go on vacation. The reality is that there is a much bigger gap between rich and poor here, and there is practically no middle class in most European countries. Moreover, the third world can be found in every gypsy camp throughout Europe. I am very aware that the clock is ticking down to the end, and it’s very near. So, inspired by the Holy Spirit, I prayed for angels to help in the task of spreading the Gospel throughout Europe. On Judgment Day we won’t be judged for our sins because if we’re Christian, then Jesus has already paid the full price for our sins at the cross. But we will be judged for our works. Don’t misunderstand that as meaning anything like salvation by works. Each of us has been given spiritual gifts and work to do for the Lord. On Judgment Day we will receive the reward for our work. Salvation determines where we will spend Eternity, our work on earth determines our reward for Eternity (read the parable of the talents in Matthew 25:14-30). Do you know what our reward is? God told Abraham: “Do not be afraid, Abram. I am your Shield, your very Great Reward,” (Genesis 15:1, emphasis mine). Our reward will be how much facetime we have with God. Each time I experience the presence of God, it leaves me wanting more. His presence is our reward, and how much we get to experience of His presence in Eternity will be determined by how faithfully we carried out our work here on earth. Remember how the people begged Moses to put a veil over his face because he shined too much with the glory after talking with God (Exodus 34:29-35)? Well, I believe that the same glory that caused the people to avoid Moses will attract the people to us in Eternity. But it’s not the people that interest me so much, but being in the presence of God. That’s where I want to spend my time in Eternity. I want a Great Reward! If Christians fail to answer the call of God to come to this mission field, I will call the angels to do their work. And those of us who answered the call will have our Reward. God is good! And His presence is the best Reward I could ever get! He is my very Great Reward! Hallelujah! “Let no one deceive you by any means; for that Day will not come unless the falling away comes first, and the man of sin is revealed, the son of perdition,” (2 Thessalonians 2:3, emphasis mine). I heard read an interesting study saying that the word apostasy, meaning heresy and often translated as falling away or departure from the faith is a bad translation. The Greek word apostasia means departure, as in physically leaving a place. Nowhere in any ancient Greek text is the word apostasia used in the sense of heresy. It always means departure. Also, elsewhere in the New Testament the word is used only in the sense of departure. In light of the true meaning of the word, 2 Thessalonians 2:3 should read: “Let no one deceive you by any means; for that Day will not come unless the departure comes first, and the man of sin is revealed, the son of perdition,” (emphasis mine). The departure is when we leave earth—the Rapture. The Rapture makes sense of verse 7, which says: “For the secret power of lawlessness is already at work; but the One who now holds it back will continue to do so till He is taken out of the way.” Right now the Holy Spirit present on earth in the bodies of Christians is what is restraining evil from having full reign. When we are raptured away, evil will run rampant in the earth unrestrained. That’s when the antichrist will be revealed. I’ve been visiting missionaries, Suki and Dave, in Tuscany, and together we visited a couple of churches. Last night I received a prophetic word. The prophet said that I have a strong character—said twice. And that I am at a crossroads where I need to make a decision, that I already know the right choice. Suki was also given a prophetic word that encouraged her. It’s true, I was presented with an interesting choice—one that I didn’t tell anyone about. Potentially, the choice could make me a nice little profit, but I felt that it wasn’t the right choice. So I prayed about it. I didn’t get an answer per se, but just continued to feel that chasing the money wasn’t what God wanted me to do. This prophetic word confirmed what I had already felt. This morning Suki told me that she had a word for me, Isaiah 45:1-3, which says: “This is what the Lord says to his anointed, to [Alisa—she inserted my name in place of Cyrus], whose right hand I take hold of to subdue nations before [her] and to strip kings of their armor, to open doors before [her] so that gates will not be shut: I will go before you and will level the mountains; I will break down gates of bronze and cut through bars of iron. I will give you hidden treasures, riches stored in secret places, so that you may know that I am the Lord, the God of Israel, who summons you by name.” Amen! Hallelujah! This is not the first time I’ve received a word like this, but I never get tired of hearing about hidden treasures, the full inheritance, the table full of whatever I want (all of which have been prophesied over me). I know that God loves me and that He provides everything I could ever want or need. Suki went on to say that as she was praying for me, the Lord showed her that my life has been a very solitary one, despite the fact that I’m a cheerful, friendly person. She didn’t have any way of knowing that about my past life (having only known me for a year), but she’s exactly right. Even during my marriage I was alone much of the time. And my present life is very solitary. There are a lot of people who come and go, and I come and go, visiting missionaries all over Europe. But I am mostly alone, traveling from place to place. I don’t often write about loneliness because to be perfectly honest, I don’t often feel lonely. There is a big difference between being alone and being lonely. Although I am often alone, I rarely feel lonely. Plus, there are worse things than being lonely—and an unhappy marriage is one of them. But loneliness is something that most people fear, so they think that maybe I am unhappy when they realize how alone I am. I think this is what Suki thought when God revealed to her about my solitary life. I assured her that I am alone a lot, but very content, and living a very full life in the midst of solitude. I don’t know if I convinced her, but it’s the truth. I have a ring that is twisted into a Mobius strip with Jeremiah 29:11 inscribed on it: “For I know the plans I have for you,” declares the Lord, “Plans to prosper you, and not to harm you, plans to give you a hope and a future.” I wear this ring on the finger where a wedding ring goes. It’s not that I hate men—not at all!—but I just don’t know how I would ever fit one into my life and ministry. I know that it’s easy to say no to the man I’ve never met, but to be honest, I now consider myself married to Jesus. I am anxiously waiting for the day when He comes to catch me up into the air for our wedding feast in Heaven. 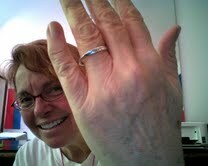 So if a man meets me and sees the ring on my finger, it tells the story: I’m already spoken for. And I keep myself busy, doing the work He has given me to do until that day comes—alone, but not lonely. God is good! I know the plans He has for me are all good! I came across an article in the NY Times titled Seeing Darwin through Christians Eyes, in which a Christian politician proposed naming February 12 (Charles Darwin’s birthday) as “Darwin Day” as a measure to “recognize the importance of science.” Many Christians believe that evolution is a credible theory. Note that the Theory of Evolution is still only a theory. There are major gaps in the fossil record that science cannot explain. There are also evolutionary leaps like the Cambrian Explosion that disprove the gradual change that Darwin theorized. There is also the issue of Irreducible Complexity that would seem to be an evolutionary leap within the organism. Lee Strobel explains irreducible complexity better than I can (The Case for a Creator). Basically, irreducible complexity shows that there are some complex organs that seemed to come from nothing, for example the flagellum, a whip-like organ that works like a propeller. There is no pre-flagellar organ. Note also that at the end of his life, Charles Darwin recanted his own theory of evolution—something that is still hotly debated. Whether he did or not, there are still such enormous gaps in the fossil record that even 154 years after the publication of Origin of the Species it remains only a theory. Lots of Christians believe in evolution: 58% of Catholics, 54% of Orthodox, 51% of mainline Protestants, and 24% of Evangelical Christians. So why do so many Christians believe in evolution? How do you picture Samson (Judges 13-16)? Most people immediately picture in their minds someone who looks like Arnold Schwarzenegger: big and muscular, right? Wrong! Why would the Philistines want to know the secret of his great strength? If the secret of his strength was his big muscles, they wouldn’t have to ask. After all, nobody asked what made Goliath strong. Samson’s strength was supernatural and had nothing whatsoever to do with the size of his muscles. Most likely, Samson was a proverbial 98 pound weakling (at least in appearance). Most people think that Jonah was swallowed by a whale. But the Bible says “a great fish,” (Jonah 1:17). I checked and the word whale is not found in the Bible. Although whales have been spotted off the coast of Israel, it is very rare that they enter the Mediterranean Sea. There was a whale sited off the coast of Israel on May 12, 2010 (Whale Sighted off Israel). There is also the strange case of James Bartley, who was swallowed by a whale and survived. It is said that he was in the whale’s belly for 15 hours, and the experience bleached his skin and left him blind. If you can believe that God provided a whale at that precise time and place to swallow Jonah (thus allowing him to breathe, being a mammal) and protected his body from the whale’s corrosive stomach acids. How much more of a leap is it to believe that it was a literal fish? Many people, even Christians, treat these Bible accounts as myths, stories to tell children. Here’s the thing: do you believe in a God that is able to make a man supernaturally strong without big muscles? Or preserve Jonah’s life (and skin and eyesight) for 3 days inside a fish? Or create the whole universe simply by speaking it into existence in just six 24-hour days? Only you can answer for yourself, but my answer to all 3 questions is yes. I don’t have to know exactly how He did it to believe that He can do it. If your prayers are not being answered, could it be because you don’t believe in a God that is able to help you? Jesus didn’t do many miracles in His hometown because of the people’s lack of faith (Matthew 13:58). Maybe you’ve been overexposed to lukewarm Christianity—a Christianity that teaches a big, muscular Samson and a whale that swallowed Jonah and evolutionary creation. If your idea of God is too small, ask for wisdom. James 1:5 says: “If any of you lacks wisdom, he should ask God, who gives generously to all without finding fault, and it will be given to him.” Wisdom is what you need to believe in a truly omnipotent God. And all you’ve got to do is ask for it. God is good! I returned from the Budapest, Bratislava, and Vienna trip feeling very tired and ready for a rest from traveling. We had stayed in hostels the whole 2 weeks, so having a bedroom all to myself with a door feels like unbelievable luxury. Of course, my hostel roommates were all very considerate—even those who were strangers—and I had no trouble sleeping. But still, there is something about having space all to yourself. When my plane landed at Milan Malpensa Airport and I turned on my phone, I received a voicemail message from a cousin that I had never met. His mother had contacted me some weeks ago, asking if he could come stay with me. He arrived in Milan the very same day that I did: Sunday. My cousin is a big, sweet guy from Texas who goes by BC. That’s very Texan to go by initials instead of a name. This is his first trip to Italy, and he travels very light. BC is 28 years old, very adventurous and open-minded. When we wandered around a bit, looking for the tram stop in an unfamiliar area, it didn’t faze him one bit. BC just takes things as they come. He’s also a kindred spirit, with a big wanderlust and love for Europe. He started out in Portugal, where he has friends. After a few days there, he made his way down the coast to Spain, saw the Rock of Gibraltar, and back up the Mediterranean coast to France, then Turin, Italy where he spent the night Saturday night before coming to see his missionary cousin in Milan. He showed me pictures of his trip, and they included some pictures of his mom, my dad’s cousin. I saw a resemblance to my great-grandmother. She looked like I would imagine that Granny had looked as a younger woman. Her eyes were especially like Granny’s. BC might look like his dad, who I never knew, but the family resemblance in his mom is unmistakable. I took BC around the center and showed him the castle, the cathedral, the galleria, and La Scala opera house. It’s amazing to be with someone who isn’t tired of seeing churches and castles. It’s almost like seeing these things for the first time again. Milan’s cathedral, the Duomo, is beautiful and a real wonder. It is the 3rd largest cathedral in the world, after St. Peter’s in Rome and Notre Dame in Paris. It was under construction for over 500 years, and has over 3000 life-sized statues built into its façade. Although we didn’t go up there, it is possible to go explore the roof of the cathedral. From the roof of the cathedral, you can really grasp just how enormous it is. And from there, a whole lot more of the cathedral is still far over your head—all of it very intricately carved. Inside the cathedral, BC and I went into the crypt that is behind and under the altar. There lay the mummified remains of San Carlo (St. Charles), who had been bishop of Milan a few hundred years ago. I had seen it before, and it still creeps me out. BC was also creeped-out. I also pointed out the statue of St. Bartholomew. I had seen pictures of it, but had never spotted it before. The saints are always depicted in the way that they were martyred. According to legend, Bartholomew was skinned alive. So the statue (which stands inside the cathedral near the side exit) shows him standing skinless with his skin draped over his shoulders—also very creepy. Creepy religious art seems to be an Italian thing because I can’t remember even once seeing anything like this in any church in any other country. When BC had spent 2 nights here, he declared himself to be rested and restless. He said that he wanted to go by train to Como and on into Switzerland from there. So I took him to the train station, helped him buy his ticket from the machine, and we said our goodbyes. Yes, he is kin and a kindred spirit! Today as I was finishing writing about BC’s visit a bird hit my window. I was surprised to see that it was a parakeet. It wasn’t afraid of me, and let me pick it up. I took it downstairs to the custodian. “Does anyone in our building keep birds?” I asked. She said no, but advised me to ask the custodian of the building across the street. I carried my little friend across the street and asked the custodian there. She keeps birds, but both of her parakeets were still in their cage, which is enormous. I asked if anyone in her building keeps birds, but she said no. She opened the cage and told me to put it in. At first the bird was reluctant to let go of my finger, but finally went into the cage. It proceeded to investigate its new surroundings, while the other birds came closer for a good look at the newcomer. There was a moment of tension while one of the birds fluttered at the newcomer, but soon they seemed to settle into a posture of guardedly watching each other. As I crossed back to my apartment building I felt grateful that I had been home when the bird hit the window. Otherwise the poor thing would have died sooner or later. I realized that it feels really good to have helped the little bird, and also to help the people who pass through my apartment. Not that the people are in danger, but it’s good to help them on their way. This is what I do. God is good! I returned to Bratislava to meet with a missionary here. However I had gotten in touch with her late, and her village is 6 hours away by bus, so that meeting didn’t happen. 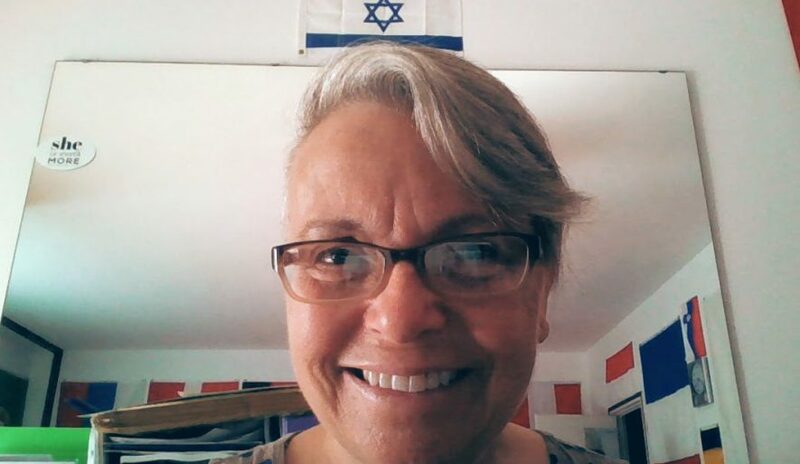 But I did manage to meet with one of our new Slovak friends, Zuzana (see Kebap Shop Breakfast (part 2 of the double post, titled Sweet Slovakia) and Pray for the Peace of Jerusalem). Zuzana came with us to Budapest and also to Vienna to pray in those capitals. When she returned from Budapest, her boss told her that she was fired, no explanation given. Of course she was very upset at first, but Pastor Ivan’s daughter had already offered her a housecleaning job, so she decided not to let it get her down. Ministry carries a price tag. Jesus told us repeatedly that we will have to leave our homes, our families, and that we must count the cost. For someone so young (20), Zuzana is surprisingly mature. I was . . . Simple and easy, you don’t have to be an expert in theology or to know the Bible inside and out. People don’t care about those things. All they want to know is that Jesus is real. They want to know what Jesus can do for them. And nobody can argue with you about your experience because it happened to you. They might not respond the way you hope, but sometimes the seed planted today will begin to grow next year. Then I told her about my conversion and re-conversion (see Gotcha! and Gotcha! Part 2), and the suicidal depression I had endured. Zuzana then told me her story. She had also been suicidally depressed, with demonic apparitions. To look at the 2 of us, you would never imagine that either of us were so down. So I said, just tell her what Jesus has done for you. God will give you the right time to talk with her about it. Then we walked back to town, to her favorite coffee shop. Zuzana told me about one time when she had been reading her Bible there and God showed her that the woman next to her was crying. The Holy Spirit told Zuzana: “Tell her that I love her, and that she is precious to Me.” So she did. The woman was startled and resistant at first, but then listened as Zuzana told her about the wonderful love of Jesus. As we found our seats in the coffee shop, she said, “And she was sitting right there.” I turned and looked where she pointed, and said, “Right there? Where Anushka is sitting?” And we began laughing like maniacs because we had not expected to meet her there in the coffee shop. Anushka (see double post Sweet Slovakia and Kebap Shop Breakfast) was sitting there writing on her laptop. She looked up when she heard the laughter, so we told her about Zuzana’s story and how she had pointed right there without realizing that Anushka was there. So I got another chance to say goodbye to Anushka, and I had a lovely visit with Zuzana, and was able to encourage her. Zuzana will probably be joining us on our next trip, to Ukraine and Belarus. She will be useful in both of those places as a translator. God is good! Yesterday we went to the balcony where Hitler addressed Austria as the leader of Germany and the Nazis. There we prayed and proclaimed that no more lies would come from that place, but only words of righteousness and truth. I was standing by a very evil-looking sculpture that had a beak like a bird. In Budapest one of the locals had given me a rubber bracelet that I have been wearing ever since. 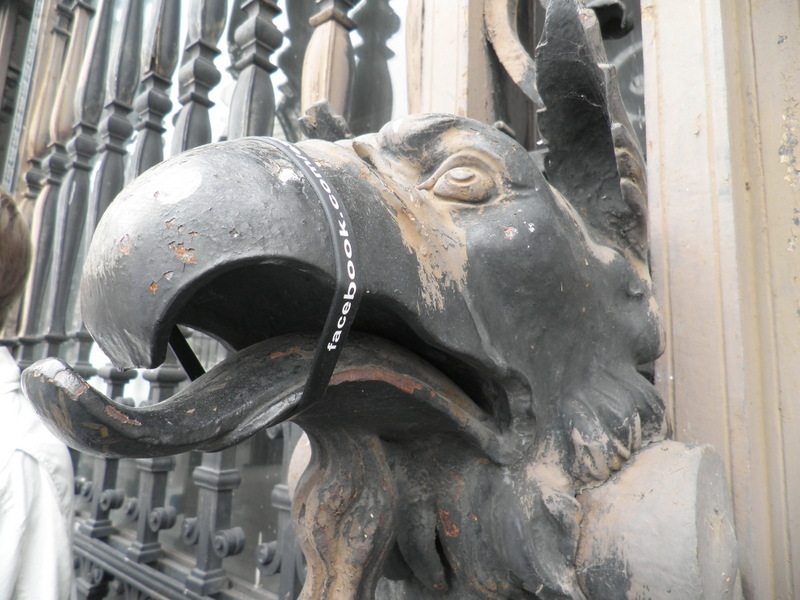 I put the bracelet around its beak as a symbolic/prophetic act to shut the mouth of lies. I shut his lying mouth! 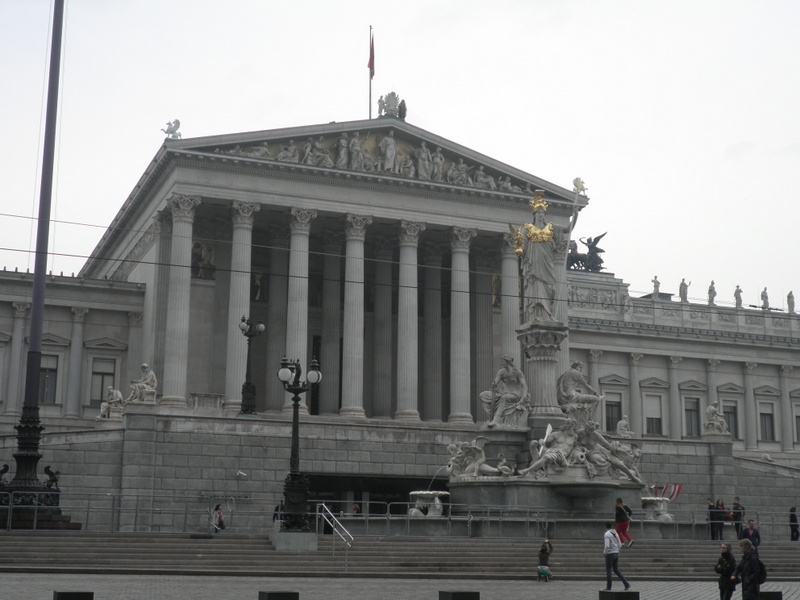 Next we went to the Austrian Parliament building, but we had no connections, so we were not able to get in past the lobby unless we entered as part of a tour group. If we did that, then we would not be able to stop and pray, so we went outside the building and prayed from there. 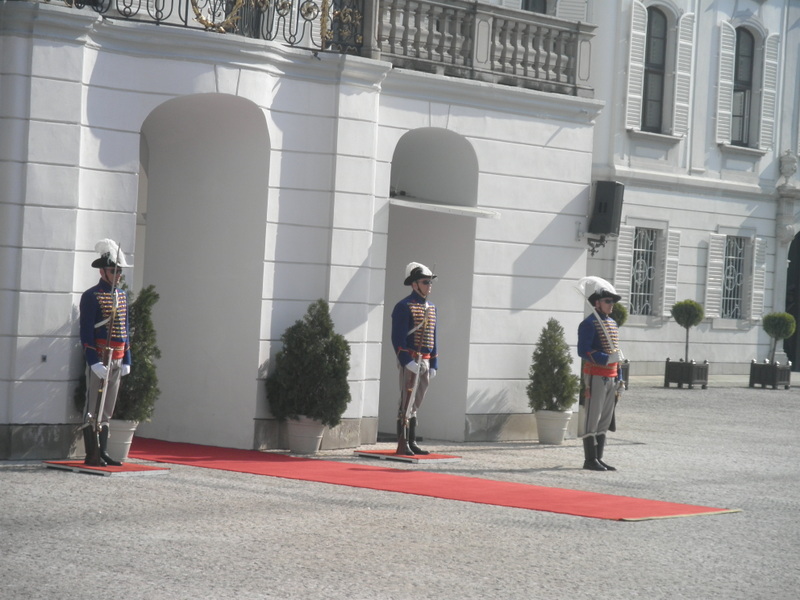 Our hosts told us that there is no Christian in the Austrian Parliament at all—perhaps in name only. It was a difficult place to pray from. The Hitler balcony had been prayed over many, many times, but the Parliament had obviously been neglected in prayer. It was the most difficult prayer session since that first evening in Vienna (see God is Doing a New Thing). After lunch we had our debriefing, and all of us had felt the same difficulty praying at the Parliament building. I had 2 impressions about Austria. The first one I noted in my blog yesterday (An Emotional Day), about how in prayer my emotions had been up and down and up again—but only in prayer. And I noted, as on the first day (God is Doing a New Thing), that I believe Austria has a female identity—and may I add, that she seems hormonal. My second impression about Austria is that it seems to me very strange that there was no indigenous Austrian who went to pray with us. They did pray with us in the church, but not out in the city. To my knowledge, this was the first time that only foreigners prayed in the capital. However, I have not been on all the prayer trips, and I was told that it was also this way in Luxembourg. The thing is that Operation Capitals of Europe (OCE) does not come in to do our own thing. Rather, we want very much to come alongside the indigenous believers to support them in what (we hope) they are already doing. Otherwise nothing lasting will result from our prayers because we cannot possibly return and return and return to pray for their capital—there are something like 50 capitals in Europe (not all are recognized, like Cardiff, which comes under the UK, but is in fact the capital of Wales). Anyway, we did our best, and the local believers did seem encouraged by our visit and our efforts. Much remains to be done in Austria, but we did what we could to help things along. One teammate was unable to come on either this trip or the last one (Sofia & Skopje) because of illness. This is obviously a spiritual attack because she was healed of this illness, so it should not have returned. Others might likewise be attacked in the area of their health, especially due to the exhausting nature of these trips (see below). Several of us on the team are over 45, and these trips are physically, spiritually, and emotionally exhausting. Because of exhaustion, tempers sometimes wear thin. We need to give each other a lot of grace and compassion. Team unity has been gravely threatened by rebelliousness. Nevertheless, we were able to remain united and to stay focused. I suspect that the enemy will continue to try this tactic to divide the team. All in all, I feel like this has been a very good trip—a challenging trip, but very good. God is good! We met at the church to hear about the history of the Jewish people of Vienna. A brief overview shows that the Jews were welcome in Vienna, then persecuted and either killed or driven out (whenever they needed a scapegoat), then they were welcomed again and the cycle repeated. Yesterday was rather like that for me: emotions up and down and up again. After the teaching we went to the city center and divided into 2 groups: prayer for the churches and prayer for the Jews. It was so hard to decide because I really wanted to go with both groups—and I was not the only one. So I put off the decision until the moment came to decide. The church group had far fewer members, so I went with them. And that was a good decision because my calling is for the church (missionaries), even though I do have a strong love for Israel. We went into St. Stephan’s Cathedral there in the center. One teammate said that there was a chapel with Israeli etchings or something. I didn’t really catch exactly what it was, but we found a chapel that was set apart from the rest of the cathedral and had a glass door. The door was shut, but not locked, so we went inside. I don’t think that was the place we were looking for, but it was a perfect place to pray, with stools set in a circle around the room. To my delight, I found a kneeler, so I knelt to pray. Our prayers were full of emotion, which is not unusual, but the intensity and range of emotions was very unusual: one teammate lay on the floor weeping, then another started a battle prayer and we all roared (in our spirits), then spontaneous laughter as the Sweet Holy Spirit fell upon us. It was powerful. We had intended to pray there for 20 minutes, but in the end, we were there 40 instead. I had not been aware of the passage of time, nor had the others. 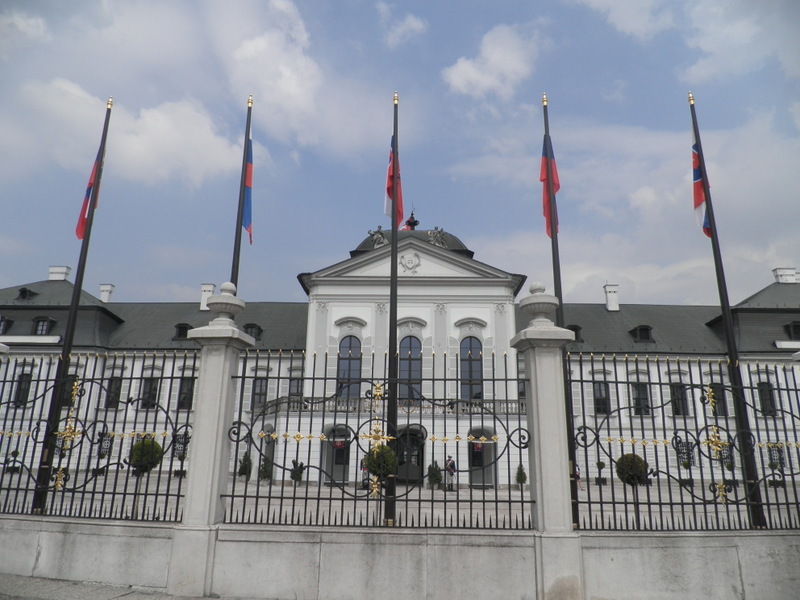 We moved on to the “New City” area near the Danube River. This was a whole area of new apartment buildings near a bridge. A prophet had recently prophesied that Jesus would enter the city of Vienna by crossing this bridge. The place where we had wanted to pray was closed off for construction, and although this was Labor Day for Austria, there was a workman there who let us into the construction area. We began searching for a good place to pray. First we found too much sun, then a shady area near the workman, but he had just turned on a noisy machine. Finally we found a small sandbox play area in the shade. There we prayed, proclaimed, and welcomed Jesus to enter Vienna. I kicked off my sandals and enjoyed the cool sand on my feet. After prayers one of the teammates (a man from Slovakia) and I danced and sang a joyful song, waving flags. Then we went back to the center and got Italian gelatos while we waited for the other prayer team to arrive. From there we went to a prayer meeting where several churches attend together. We prayed for the sick and there were many miraculous healings. Then we broke into groups of 3-4 and prayed a few minutes for the topics given to us. When we were told to pray for trafficked people the mood changed from joyful and triumphant prayers to brokenhearted prayers. I was reminded of the girls that Clara (the pastor’s wife from Romania) had told me about. I also thought about a friend from Eastern Europe who had recently told me that she had been a prostitute. You would never imagine it. She’s a sweet twenty-something Christian girl, who had thought that she had no future. But she met Jesus and found that she is worth so much more than all the money that men had paid to use her body. Thinking about these girls broke my heart, and I cried my heart out for them and for all their sisters. I was not the only one to weep for them. Tears are prayers, too. When we returned to the church, I flopped down on the floor, kicked off my sandals, and put my feet up. It felt good to rest. After dinner we laughed, but not with our usual hilarity. I think we were all just so tired. It had been a good, but emotionally draining day. God is good! Actually I am on the train from Bratislava to Vienna, and we just crossed the river. There are lovely yellow fields of flowers. It is a beautiful, sunny day, and my mood is equally sunny. I just feel very hopeful after having such powerful and successful prayer in 2 capitals: Budapest and Bratislava. It’s funny, I don’t know what to expect in Vienna because I’ve only passed through on the train. But I feel a kind of breathless expectation. This trip is pregnant with possibilities. More later! The mood swung dramatically when we entered the church. 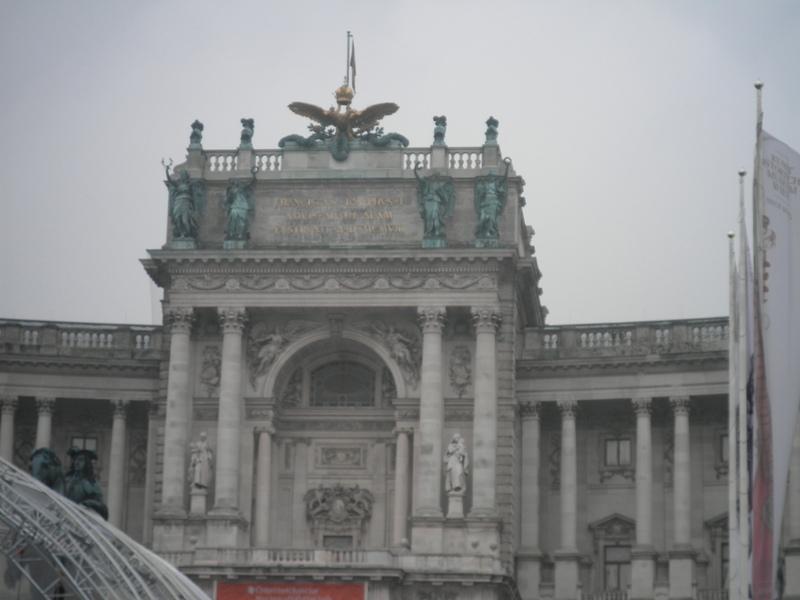 Our hosts started right into a slide show about the history of Vienna, with emphasis on the spiritual realities here. For me, the most impacting was the final slide: a map of Vienna 1913-1914, showing that Hitler, Stalin, Trotsky, Tito, and Freud were all living in Vienna within a few miles of each other. It occurred to me that Vienna is a spiritual womb (see my comment above, written on the train: pregnant with possibilities!). At that time she birthed some pretty horrible things, but through prayer and worship, Vienna can birth great things for the Kingdom of God. However, before receiving that revelation, we tried to worship, and it was a disaster at first. The worship was weak, and only the English-speakers were worshiping. One of our teammates pointed out that our hosts were not singing. An Austrian host told us that what they need is not worship, but prayer, and prayer warriors for Vienna who will seek God’s face and pray these things through. We tried to explain that prayer and spiritual warfare is exactly what we had come to do, but that we enter into prayer first with worship, like the priests of Jehoshaphat (2 Chronicles 20). At that, a missionary who has lived here for 26 years put on a worship song in German, and we all worshiped together—some in English, and some in German. That was an important turning point. After that prayer began to breakout among our hosts, and that depressive atmosphere lifted. Afterward, we enjoyed a lovely meal prepared for us by our hosts. Friendship and fellowship developed, and there was lots of laughter and love. God is good!